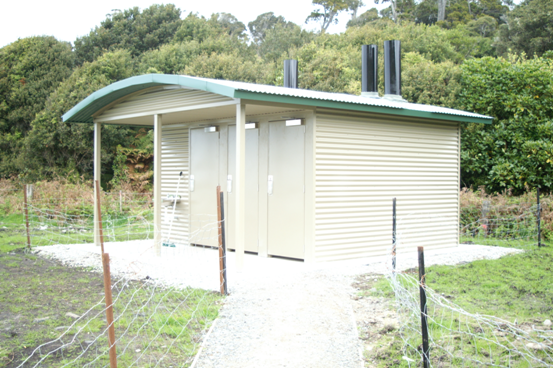 Frametek Southland Ltd and joint venture partner Marshall Industries have successfully completed the first of a number of replacement toilet facilities for the Department of Conservation Coastal Otago. Originally the Department of Conservation were to source the new buildings from Australia but after meetings with Frametek Southland Ltd it was agreed to use Frametek as a cheaper and locally made alternative. The brief was that the buildings had to match the style of building that had already been built as well as fit the standard foundations and effluent holding tanks design that the Department of Conservation wanted to use. Consideration of the venting properties of the toilet cubicles was critical to the way air flowed through the building to eliminate odour. This required that the cubicles had to be reasonably airtight apart for an air gap under the door. Having the building clad inside and out with corrugated Colorsteel not only achieved this but also made it easy to keep clean and fix if any damage were to occur. Frametek Southland Ltd has been made the nominated supplier of the buildings with the actual contract for all other building work going out to tender. Breen Construction Ltd was awarded the contract for this location and worked closely with Frametek Southland Ltd as to when the site would be ready to install the building. 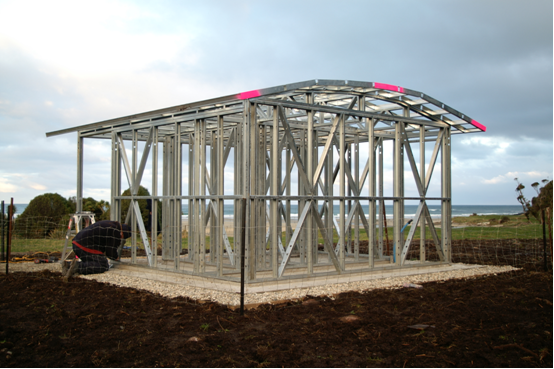 Due to the remote site the building was first assembled in Frametek's yard in Te Anau and all claddings and flashings measured and manufactured by Marshall Industries. Then the disassembled frames and claddings were trucked to site and reassembled and completed in only a few days.